Are DUI's a Felony or Misdemeanor? Is driving under the influence of intoxicants (DUI/DWI) a felony or a misdemeanor? Under most circumstances, a first-time conviction for driving under the influence is a misdemeanor, but there are circumstances under which a DUI can be a charged as a felony crime. These circumstances vary by state and jurisdiction. In many states, a drunk driving charge is considered a traffic offense or a misdemeanor, but those charges can be enhanced from standard misdemeanor DUI to felony DUI depending upon other factors. Besides the legal implications, being intoxicated beyond the legal limit for driving puts your health at risk in many ways, even if you aren't behind the wheel. You will likely undergo an alcohol evaluation to see the extent of your drinking habits and alcohol education to explain how drinking can affect your life and health. Bodily Harm: In most states, if someone is killed or injured by the drunken driver, felony charges can be filed. It's more typical that the driver must be the one who caused the accident that resulted in bodily harm. If you run a stop sign while intoxicated and hit another vehicle, you may be charged with felony DUI if your passengers or people in the other vehicle are injured. But it is less likely your charge will be elevated to felony DUI if you were intoxicated but somebody else rear-ended you at a stop sign and you or other people were injured in the accident. Breaking Other Laws and Driving With a Suspended License: In some jurisdictions, if you are arrested for DUI while breaking other laws at the same time, the charged can be elevated to felony level. For example, in some states, if you are driving with a suspended license and are arrested for drunk driving, the offense can be considered a felony. 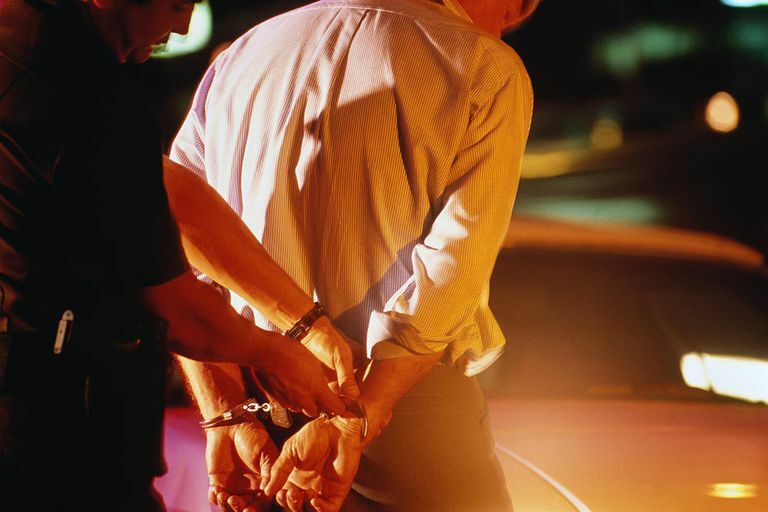 If your license is restricted, suspended, or revoked, it is very bad news to be caught for DUI. Elevated Blood Alcohol Content: The standard for impairment is a blood alcohol content (BAC) of .08 percent in all states. Some states have also set a level of BAC at which the charge can be elevated to felony DUI. Often, this level is around 0.16 percent. In other states, a higher BAC can result in getting a harsher punishment when convicted of misdemeanor DUI. You can expect that the higher your BAC, the worse the penalty will be. Driving DUI with Children in the Vehicle: Specific laws have been passed in many states that allow felony DUI charges if there are children in the vehicle. The ages defined may be up into teenage years, such as Leandra's Law in New York, which defines a child as age 15 and younger. Prior Convictions for DUI: If you have a prior conviction for DUI, states vary in how many convictions and in what period of time these can be used to justify a felony DUI charge. If you have previous DUI convictions, in some states, additional drunk driving charges can be brought as felony charges. If your driving license privileges have been restricted because of driving under the influence and you are caught driving while intoxicated again, some states will charge you with a felony. For example, if you have been ordered to install an ignition interlock device on your vehicle because of a previous DUI, and you are stopped for drunken driving again, it can be a felony in some states. Drunk driving laws vary from state to state and new legislation is passed every year. Mothers Against Drunk Driving has a list that summarizes how states may prosecute repeat drunk driving offenders who did not injure or kill someone. Most states also have laws that require anyone convicted of drunk driving to undergo an alcohol evaluation. A counselor will evaluate you to see whether your drinking behavior can be considered alcohol dependence or alcohol abuse. You may be required to enter an alcohol treatment program or an alcohol education program to learn how binge drinking and other problem drinking can affect your health and life.